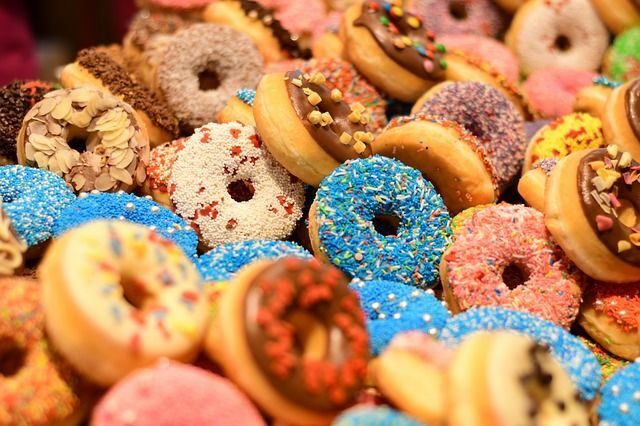 Following two earlier dismissed suits on the same theory, a new California plaintiff (of course) is pursuing a false advertising case on a class action basis against Krispy Kreme on the theory that the doughnut maker is lying to consumers about its ingredients. Plaintiff claims that not only did Krispy Kreme use artificial flavors to mimic the flavor of the "real ingredients," but it also used dark colored blueberry-like bits in its blueberry doughnuts to mimic the existence of real blueberries and a "brown colored substance" in its maple doughnuts to mimic the existence of maple syrup/sugar. Plaintiff claims that the blueberry and maple named doughnuts do not contain the "real ingredients" and that had she known that, she wouldn't have purchased them. Plaintiff also claims that since blueberries and maple syrup contain antioxidants that are beneficial to human health, she was further harmed by their absence in defendant's products. She is seeking $1000 in restitution per class member, actual damages, and a court order prohibiting defendant from using the words "blueberry" or "maple" in the names of its doughnuts. And she probably didn't know that the coffee was hot too, right?